Monitor ticketing related activities (Ticket Closure, Time Spent etc.) 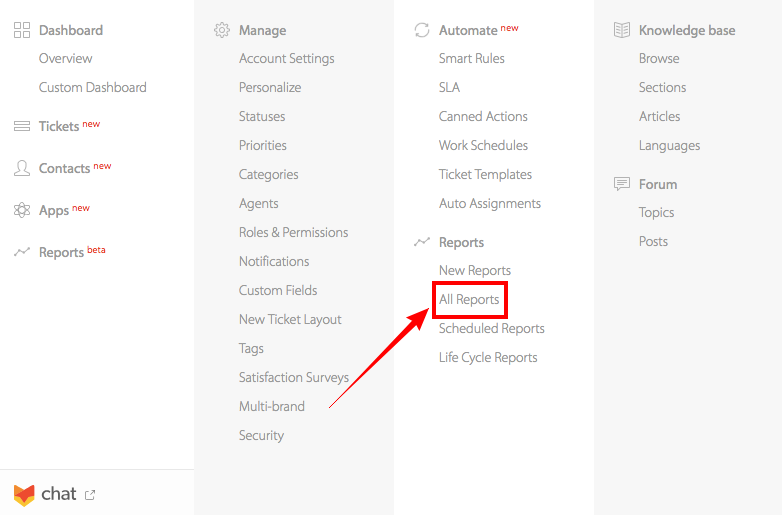 of Agents in your helpdesk system using "Agent Activity View" inside HappyFox Reports. This Article pertains to "HappyFox Classic Reports". For the New and Re-Imagined "Agent Activity" report, Click here. Where to Locate "Agent Activity View"? 3. Scroll down to the Tabular View and click on the Agent Activity View icon. The number of tickets assigned to an agent. The number of tickets that had an "Agent Participation" activity. These include all activities that have a log in your ticket details page except for replies and private notes. The number of tickets assigned to an agent, that are still in pending state. The number of tickets that the agent has resolved. The total time the agent has spent. The number of private notes the agent has sent. The total number of replies the agent has added. To know how "Agent Activity - Classic" Report functions in "HappyFox Classic", please refer to the document attached.